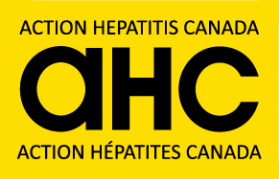 Home &sol; Posts tagged "HCV treatment"
On Sept. 8, 2014, Dr. Paul Marotta of London Health Sciences Centre, presented "Transformation of HCV Management: The IFN-free Era". To access a PDF of this highly-informative and "up-to-the-minute" presentation, click HERE: DrPaulMarotta_20140908_HCV_Treatment_Presentation. Many thanks, Dr. Marotta, for generously sharing these excellent materials with HepCBC's online members.